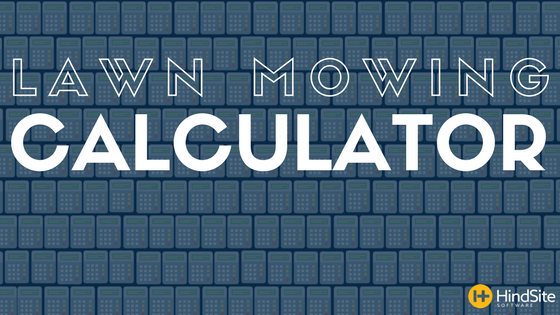 Below you’ll find a lawn mowing calculator that hopefully helps lawn care business owners determine their price - or at the very least get a general idea of where it lands. During the early stages of its creation, I quickly realized (and not surprisingly) that a business’s pricing process varies from one to another. That being said, I realize it will be more useful to some than others. And it’s likely new businesses will find it the most useful since they’re still trying to pin down their pricing. Lawn Size: Pretty self-explanatory, this is where you would put how many square feet a customer needs mowed. Minimum Price: Some businesses apply a base price to every job. If you’re one of these businesses put that number here. If you’re not put zero. Obstruction Fee: The time it takes to mow two lawns of the same size can vary depending on the layout and makeup of the two properties. Obstructions can be anything from a steep hill to a fire pit to a swing set to a swimming pool. Additional Cost: I included this field so the calculator could be somewhat configurable to most pricing methods. If there are any other factors that affect your final price - this is the place to put them. If there are any other fields that you think most businesses factor into their price let us know in the comments below.